Metrin Skincare is a Vancouver-based company with a line-up of excellent products backed by 85 years of results. While the company brand has stood the test of time through chaotic periods through the company’s history with a dedicated and enthusiastic core customer base. 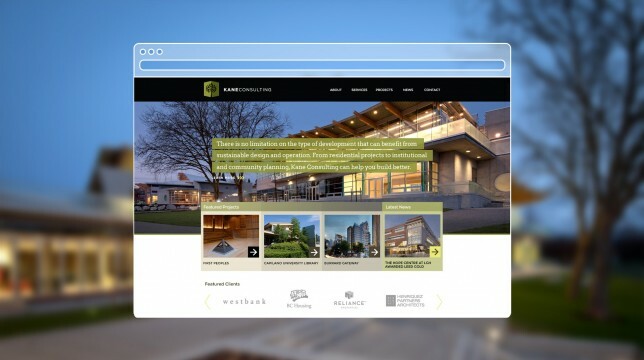 The company decided that a new brand is needed to solidify their identity and KIMBO was brought onto the project for our expertise in this type of work. With a company history of over 85 years, the existing Metrin brand had difficulty appealing to the more youthful group of audience. It was found that potential customers viewed Metrin products as more medical than nourishing. Thus, a few aspects in particular were identified as in need of radical improvements. First off, more effort needed to be made on capturing Metrin’s welcoming personality. Secondly, brand recognition and product understanding needed improvement. Lastly, the brand refresh needs to be conducted with diligence to ensure that older customers are not alienated by any radical changes. We conducted a comprehensive audit of the existing Metrin brand prior to beginning development work on the brand refresh. 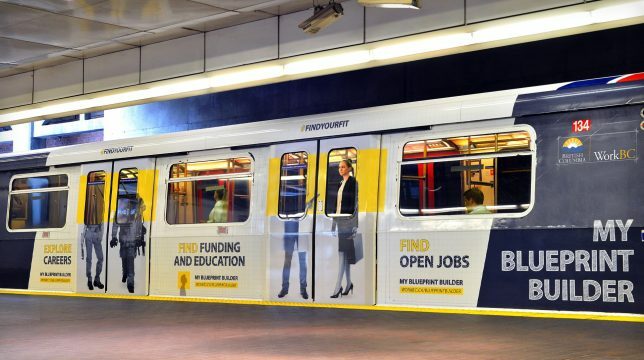 This helped us identify the strengths and weaknesses of Metrin’s existing brand, and what needs to be addressed in order to overcome the aforementioned challenges. The brand audit process was led by KIMBO’s CGD-designated designers, with input from each member of the KIMBO team for a variety of perspectives from different fields of expertise (e.g. copywriter, graphic designer, developer, accountant, etc.). Prior to coming together for a thorough discussion, each member of the KIMBO team completed an independent audit of branded materials separately, rating each asset by their quality and consistency with the Metrin brand. The KIMBO team reviewing Metrin’s past and present brand for our brand audit. As the team walked through and discussed each asset of the Metrin brand and how they relate to the existing brand, we were able to get a sense of how effective each of these assets are in conveying the appropriate message and its consistency with the overall brand from multiple viewpoints. In the end, we compiled together all of our individual findings to help us discover the overarching themes within the Metrin brand’s successes and shortcomings. 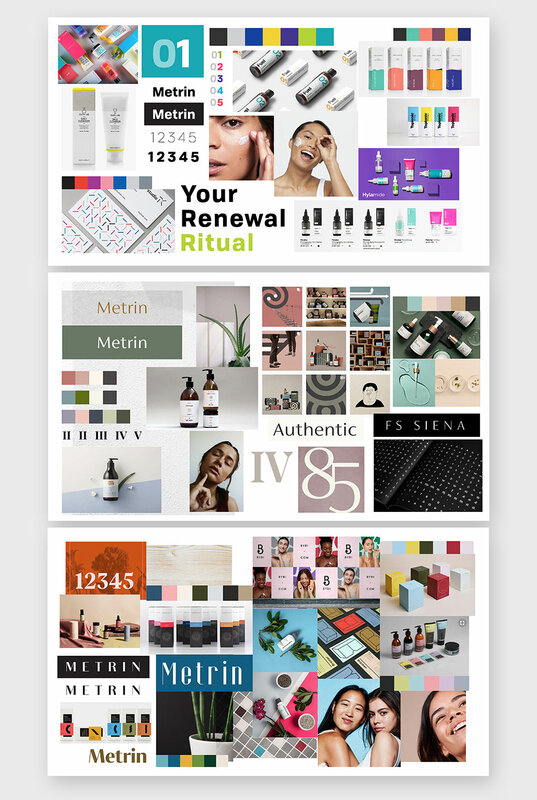 Moodboards showing 3 creative directions for Metrin’s new brand. ” Youthful/Vibrant”, ” Natural/Elegant”, and ” Grounded/Welcoming”. Using our findings from the audit, the first step of the development phase was to formalize the substance of the brand. 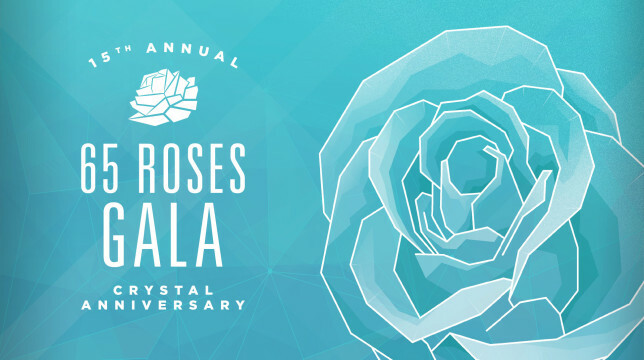 We tailored this foundation to two key target audience groups (namely, dedicated customers older in age, as well as the desired younger audiences), and built a complementary creative direction on this foundation. 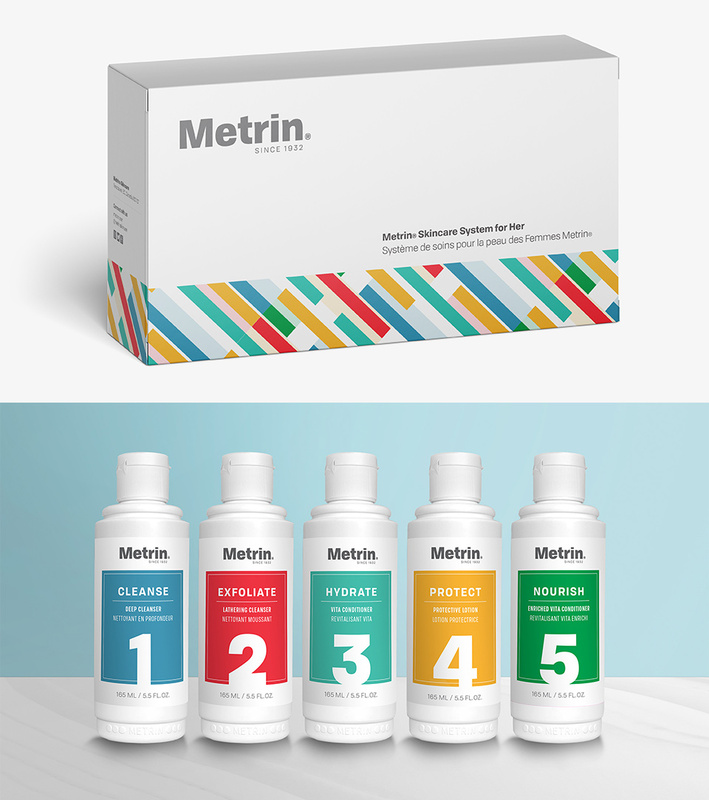 As a result, we established a succinct verbal narrative for the Metrin system and created an individual identity for each step in the Metrin Skincare system. Each step of the has its own colour and an action word to help consumers remember which products are which and make it easier to follow the steps in the correct order. To make it easier for new consumers not familiar with Metrin to identify the products that are right for them, we also created light and dark versions of the same designs for men and for women, respectively. Metrin’s “Skincare System for Her”. 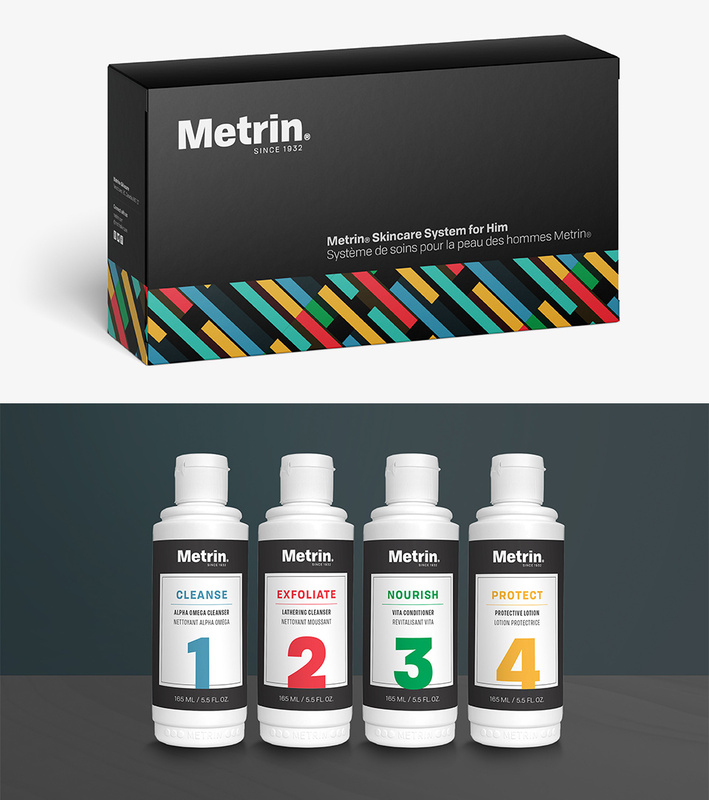 Metrin’s “Skincare System for Him”. Our work with Metrin was well-received by project stakeholders. The company aims to roll out the new brand and corresponding materials in early 2019 to introduce a new generation to Metrin’s effective skincare solutions. As a result of our close collaboration on this project, Metrin now has a fresh new brand with modern and visually-striking packaging designs. A new company logo was also developed as a part of this brand refresh in favour of a more minimalist and contemporary design.